On the trail of Rubens. I’ve been living in Antwerp for the last six months with my wife, the incorrigible Shuffy. 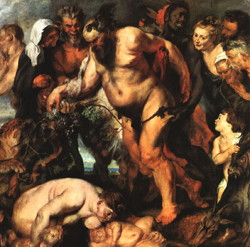 One of the things to do if you’re in Antwerp is think about Peter Paul Rubens, the great 17th-century painter who spent much of his life in this city.